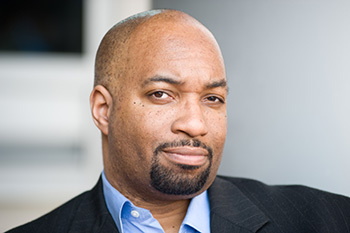 The School of Education continues the Douglas P. Biklen Landscape of Urban Education Lecture Series on Thursday, Nov. 12, at 7 p.m. with author Kwame Alexander. Alexander is a poet, educator, New York Times bestselling author of 21 books and recipient of the 2015 Newbery Medal for his novel “The Crossover.” His talk, “The Good Ones: How Language Marginalizes and Literature Empowers Our Children,” will be held in Grant Auditorium. The lecture is free and open to the public, and CART (Communication Access Real-time Translation) services will be provided. Alexander promises, “a bit of conversation, a dash of storytelling and a splash of performance,” as he shares from his recent books, educational insights and worldwide experiences (Singapore, Ghana, Brazil and Italy) in literacy empowerment. Alexander’s presentation is a continuation of the 2015-16 Landscape of Urban Lecture Series theme, “Seeing Humanity: The Politics of Inclusion and Exclusion.” Copies of Alexander’s recent books will be for sale at the event. Since 2005, the Landscape of Urban Education Lecture Series has been dedicated to the presentation of current ideas and strategies for navigating urban education terrain in the United States. The speakers engaged for this series are renowned scholars committed to revitalizing inclusive urban education. Friday, Nov. 20, 6:30 p.m.
Thursday, Feb. 4, 2016, 5:30 p.m.
Thursday, Feb. 18, 2016, 4 p.m.
Tuesday, April 5, 2016, 5:30 p.m.
For more information, call 315-443-4696.